“Music has determined the kind of person I am,” explains Madrid’s Aiken. Born in the 80’s, Aiken started to delve into electronic music after hearing a mixtape. Together with his friends, he began going to record shops every weekend, listening to music and amassing flyers from the different parties happening at that time even though he was still too young to actually attend them. To him, electronic music was not only a passion, but a lifestyle. Now of age, he’s given up the hobby of gathering flyers, instead choosing to focus solely on collecting records and producing music. 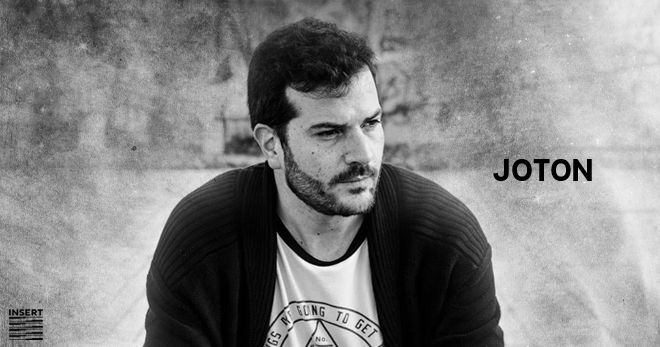 With his first appearance on Exium’s label Suspiria Digital, he caught the attention of another Madrilene, Svreca, who offered Aiken his first vinyl release on his imprint Semantica Records in 2011. This was followed by a steady stream of quality techno EPs on labels such as Lycaon and M_Rec, where he was remixed by none other than one of his all-time heroes: Regis. Balance is a key concept for Aiken: something you can feel it in his DJ sets but also in his productions, in which he sees an opportunity to express what he experiences – from new cities to new encounters. “When you are mixing records, you are the engine of the night,” says Aiken. He’ll use that engine to drive you right out of your mind. His distinctive energetic and cyclic techno, already featured within his sound palette, and a subliminal Soul component have become his trademark. With 3 albums and more than 100 releases on various labels such as PoleGroup, Soma records, Infrastructure NY, Token, Nachtstrom Schallplatten, Children of Tomorrow, Faut Section, Theory, Music Man, etc…including a variety of remixes, he has become a worldwide reference in his field. Proof of his production skills can be seen on his remarkable remix CV, working with the biggest names in techno (Surgeon, Regis, Mike Parker, Reeko…), and most recently artists such Funk D´void and Percy X from Soma records, etc. Wünsch’s hardwork has earned him a position on the line ups of the best clubs and festivals all over the world. With an impeccable career, this international artist has made a name for himself with dark and abstract atmospheric sounds, becoming one of the producers, whose name has appeared all over the world on the labels and charts of other great artists. 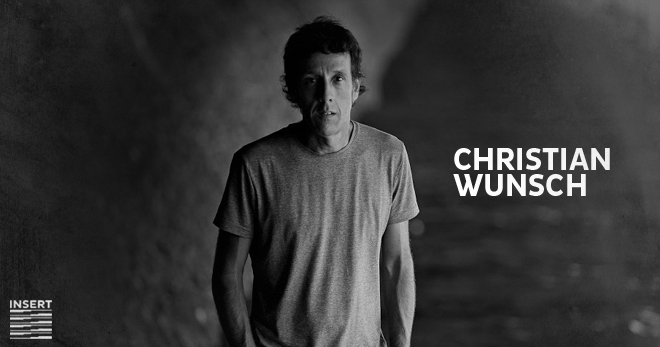 Christian was one of the founders of Polegroup, and he was also one half of the ´Spherical Coordinates´ with Oscar Mulero. His labels Tsunami Records and Nine are indispensable parts of any respectable record collection. 1981 an eleven year old kid gets a gift, that is the New Life 7 inch by Depeche Mode, from that very moment the cold beats of drum machines and the alien sounds of synthesizers are the soundtrack of his life, until today. 1987 marks the switch from being pasive to being active, he gets his first synth and drum machine combo as a christmas gift from their parents, a second hand Kawai Sx 240 keyboard and a Korg kpr 77 drum machine, and starts making his own noises and beats from scratch. Soon he forms his first music project, called Ballet Mecánico, with his two fellows Groof and Daniel Erbe. Heavily synth pop influenced in the beginning, their sound soon moves to darker territories after discovering Front 242 and Nitzer Ebb and later moving into proto rave sounds via the Frequencies album by LFO or the Yellow album by Orbital, as well as those lovely Detroit compilations released in the UK by Network records: Bio Rhythm and Retro techno among others. This project last until the mid nineties and left two vinyl releases. 1995 is when his solo career as Hd Substance starts, releasing a track on the Electronic Generators compilation, a showcase of spanish techno pioneers at the moment, on Geometrik records, home of the seminal industrial cult band Esplendor Geométrico a stepping stone to his debut album Eleven on the also cult label Elefant Records. 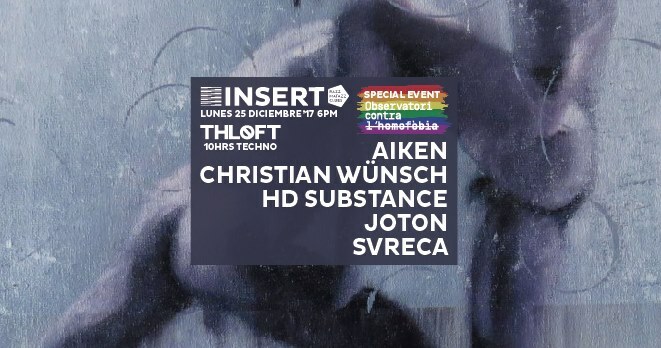 2015 after more than 20 years in the bussines, more than 30 Ep’s and six full lenght albums, Hd Substance is still here as a full actor in the scene, writing, composing, remixing and playing electronic beats all over the globe, as live performer or as traditional beatmatching dj. An entire life devoted to electronic music in any form. Joton is synonymous with dark techno, iron, futuristic and sensitive, all mixed with the precision and speed of a surgeon. His powerful personality and marked charisma, as DJ and producer, is based on a stylistic maturity, a professional serenity and a well-founded artistic criterion, always in constant and restless progression, through which everything that he pricks and produces is identified. His sound is industrial, analog and mechanical. Dystopia and the club are discussed. Detroit, Berlin and Birmingham. 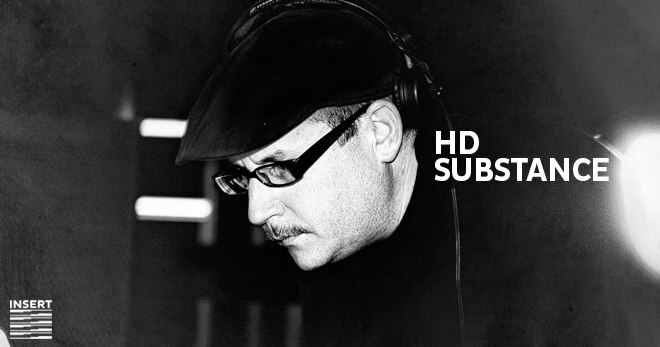 His label `Newrhythmic´ has been more than 15 years supporting high-octane techno by native and foreign artists. 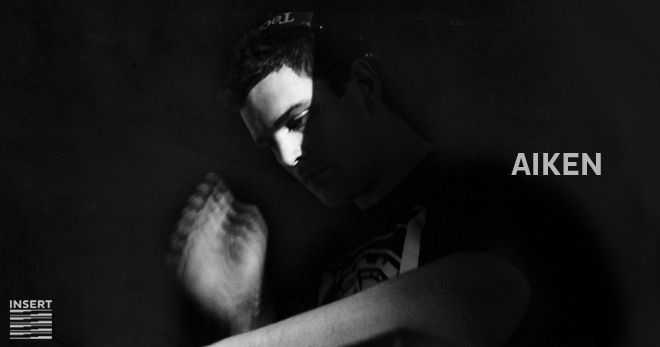 Joton’s tracks have been published by labels such as Fabric, Symbolism, Planet Rhythm, Format, Dynamic Reflection, More Than Less … and have been charted and screened by artists of the great size of Ben Klock, Dvs1, Rodhad , Dave Clarke, Ben Sims, Oscar Mulero, Adam Beyer, Surgeon, Truncate the Hiyama Go. During these last years, Joton has been demanded to play in countries such as Japan, Holland, Germany, Russia, Argentina, South Korea, Italy, UK, Chile, Colombia, Croatia, Slovenia, Malta, Austria, Georgia, France, Greece… As a DJ, he has evolved from his beloved and traditional vinyl to the current digital format. Thanks to it, Jotón enriches his sessions by providing an added boost to his innate ability to connect it to the dance floor. In 2015, a milestone occurred in his career with the publication of his first album ‘Casting Out Nines’ that garnered excellent reviews by the public and specialized press. It was considered one of the best works in long format of that year and this placed Joton in the focus of the entire global techno scene. He launched this album in 10 countries on 3 different continents. In this 2017 his second great project will see the light. It will be called ‘R3silient’ and, through a vinyl trilogy, it will present his purest and analogical side; Returning, once again, to the primitive, to the seminal, to the roots of techno. Enrique Mena is Svreca, an uncompromising Spaniard who focuses on making and mixing music that does wondrous things to the mind. Rather than serving up crowd pleasing physical sounds, Svreca is all about slick hypnotic rhythms; cerebral techno vibes and working audiences into heady trances. His complex techno makes no compromises and is as abstract as it is experimental, as sophisticated as it is forward facing. Ever since 2006 Svreca has been honing his vision thorough his own revered label Semantica. Releasing only the most cultured IDM and techno, the label has showcased music from heavyweights like Vladislav Delay, Surgeon, Silent Servant and ERP, as well as Svreca himself. The man’s compelling, tunnelling techno has also come on labels like Jealous God and Warm Up Recordings and continues to evolve through a range of textures and tempos. 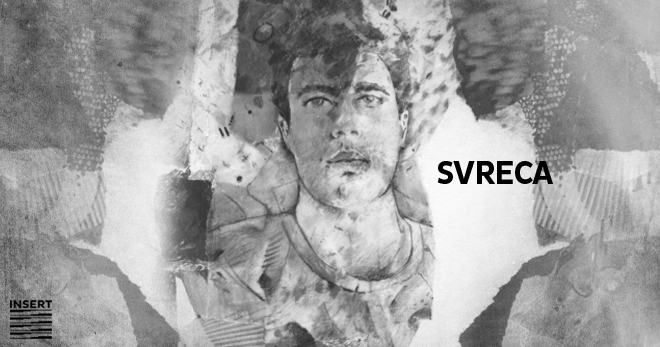 Not bound by any rules or borders, Svreca releases a steady stream of music and always keeps the quality levels high, whether it is something he has made himself or something he has commissioned from another. Proving techno is about much more than just a thudding kick drum, Svreca is right at the sharp end of electronic music and as such is regularly found laying out his vision at seminal clubs from Berghain and Tresor in Berlin to Labyrinth in Japan via many different clubs and festivals all around Europe.